John William Tharpe, age 87, of Charlotte Court House, VA, passed away on Wednesday, November 14, 2018. He was born on July 15, 1931, to the late John T. “Johnnie” and Inez Pace Tharpe of Charlotte Court House, VA.
John William was raised in Charlotte Court House, completed High School at Randolph-Henry, worked at the Chenele Plant and at Burlington Mills. He attended Charlotte Court House Methodist Church. John William married Jancie Newcomb in April 1951, and they were married for 56 years until her passing on September 21, 2007. He served in the U S Army from 1952 to 1954, serving in Maryland, Augusta, GA, Military Police Sandia Base Albuquerque, N. M., where he was discharged as a Cpl. He then returned to Charlotte Court House, where he farmed and served as substitute mail carrier until he was appointed as Deputy Sheriff by Judge Joel Flood in 1957, to work for Sheriff Frank Smith and with Deputy Berkley Griles. John William left the Sheriff’s office in 1964 and went to McLean Trucking Company in Richmond, VA, to Winston-Salem, N. C., as a driver and Instructor of new drivers. He transferred to Spartanburg, S. C., in 1983 until his retirement in 1985. John William was a member of Providence Methodist Church, Chesterfield, VA, from 1964 to 1983, and a member of Cannons Campground Methodist Church in Spartanburg, S. C., from 1983 to 1985. In 1985 he transferred back to Hebron Methodist Church until his death. He was a trustee in Hebron during the building of the class rooms, bathrooms, fellowship room. With the help of Wayne Vaughan, other Trustees, and church members, raised the money for this project which went excellent. John William is survived by his second wife, Nancy Johnson Tharpe; three daughters, Teresa Hess (Carl), June Shores (David), Janet Bowen (Sam); three granddaughters, one grandson, two-great-granddaughters; three great-grandsons; six stepchildren; twelve step grandchildren and great-grandchildren; one brother, Arnold Tharpe (Peggy); and one sister, Nancy Brockman (Doug). John William was a wonderful father, grandfather, husband, and friend. He knew everyone in Charlotte County. 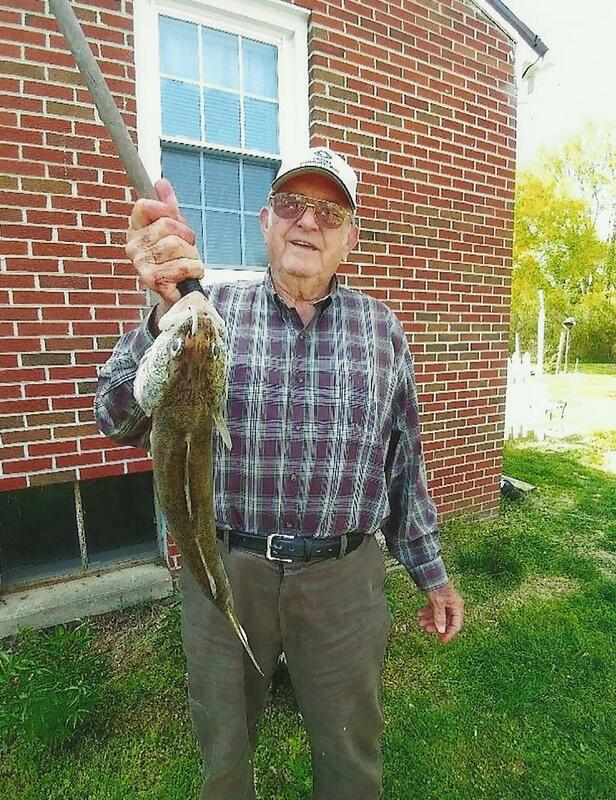 He was an avid fisherman and hunter and he knew all of the best places to eat. A funeral service will be held at 2 p.m., Sunday, November 18, 2018, at Hebron United Methodist Church in Saxe, VA. Followed by a reception at the home of David and June Shores. The family will receive friends at the Browning-Duffer Funeral Home in Keysville, VA, on Saturday, November 17, 2018, from 7 to 8:30 p.m. The Browning-Duffer Funeral Home in Keysville, VA, is serving the family. My dad, Harold Newcomb, who was Janice’s brother thought the world of John WIlliam, not only as a brother- in- law but as a great friend and fishing buddy . They don’t make them like those two any more . I know he will be missed every day. My deepest condolences to his wife and family, especially Arnold and Nancy. I still remember the great times Nancy and I had when he was Deputy Sheriff! A distant cousin and wonderful person. So sorry for the loss of John. He was a really sweet loving man. Always had a hug for me every time I saw. He will be missed by all. John was a go-getter! He was always outside doing something, whether it was yard work or sitting on a bucket in front of his shed piddling with something, you could always see him. He was a fine man. A kind hearted soul he was. Our deepest condolences to his wife Nancy and to his family. He will be missed by all that knew him.